Is Rogue Getting Recast in X-Men 7: Dark Phoenix? The X-Men franchise is in a pretty major flux period right now, but it is showing absolutely no signs of slowing down. There will be not one, but three different X-Men movies hitting theaters next year and they will help set up the future of the X-Men series. X-Men 7 looks to properly adapt the beloved Dark Phoenix storyline from the comics and, that alone is a big deal, but something else major looks like it may be occurring in the movie. It looks like we may be getting a brand new actress playing Rogue in X-Men 7. 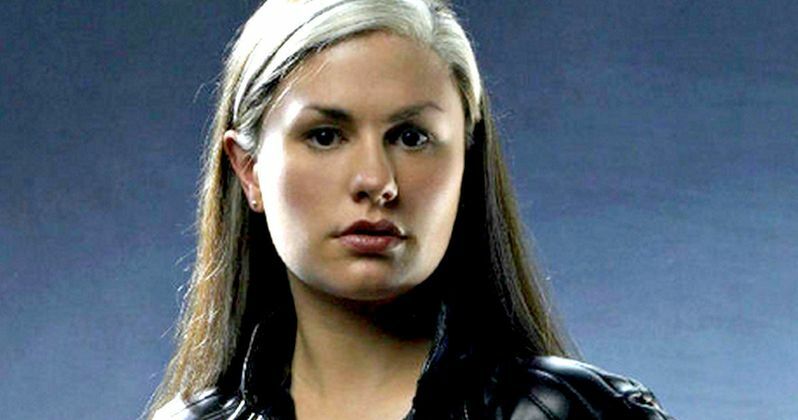 While this has not been corroborated by anyone at Fox or anyone involved in the production, Omega Underground has reportedly uncovered some evidence that suggests we will be seeing Rogue return in X-Men: Dark Phoenix, but it won't be Anna Paquin, as it has been in the past. Given the the new, albeit very messy, timeline that was established following X-Men: Days of Future Past, that would seem to make sense. The site claims to have gotten their hands on some audition tapes that heavily suggest Fox is currently auditioning new actresses for the role of Rogue. Here is what they had to say about it. "We've uncovered a couple audition tapes for three actors vying for new roles in the film. They include Australian actor Rarmian Newtown (The Family, Dance Academy) for Shane, young Canadian-American actress Alexa Swinton (Billions) for Marie, and Irish newcomer Paul Mescal for Sam...The dates on the videos suggest they've been auditioning new actors since March, if not for longer." Those character names could be, and likely are, just placeholders for the purposes of auditions, but X-Men fans will be quick to note that Rogue's real name is Marie D'Ancanto. Since Alexa Swinton is auditioning for the part of "Marie," it seems pretty logical to conclude that Rogue will appear in the movie with a new actress playing her. Anna Paquin last showed up in the Rogue Cut of X-Men: Days of Future Past, but her role was cut out of the theatrical version of the movie. Prior to that, she was last seen in X-Men: The Last Stand, which loosely and poorly tried to take on the Dark Phoenix storyline. Ever since, fans have been hoping that Fox would try and get it right at some point in the future. And the future is upon us. Not a whole lot has been revealed about X-Men: Dark Phoenix yet, but we do know that Sophie Turner is going to return as Jean Grey and will show her transition into the destructive mutant being known as the Phoenix. In the comics, The Phoenix Force ultimately leads to the death of Jean Grey, which did happen in X-Men: The Last Stand. It isn't clear if this new take on the material will bring the iconic death to the big screen again. No other cast members have been confirmed for the movie as of yet, but it is suspected that Tye Sheridan will return as Cyclops, with Alexandra Shipp coming back as Storm and Kodi Smit-McPhee returning as Nightcrawler, who were all introduced in X-Men: Apocalypse last year. We've also heard that this next X-Men movie takes place partially in outer space and that it's set in the 90s. In addition to X-Men 7, Fox is also releasing Josh Boone's New Mutants on April 13, 2018, and Deadpool 2 next year on June 1, 2018. There is no director yet attached to direct X-Men 7, but longtime franchise producer and writer Simon Kinberg is reportedly the studio's top choice, which would mark his directorial debut. X-Men: Dark Phoenix is set for release on November 2, 2018.